At Hustler® Turf, our story is one of growth through innovation. We constantly strive to maintain a brand that signifies innovation and quality. By continually evolving the Hustler® line, we have grown from humble beginnings to a leader in the industry. Our products undergo regular re-designs and improvements under the guidance of innovative Excel™ engineers, always living up to the highest Hustler® standards. With every Hustler product, our goal remains the same — to provide our customers with a dependable product that will help them complete more work in less time. Since the 1960s, we’ve been leading the turf care industry with innovation, and it all started with the world’s very first zero-turn mower. We’ve come a long way since then, and stayed true to our roots of innovation, providing you with the best mowing experience possible. 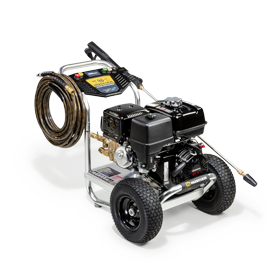 All Hustler® mowers feature our SmoothTrak™ steering system. It’s what makes driving a Hustler® a better mowing experience. SmoothTrak™ creates the smoothest and most precise steering available to easily glide around obstacles and make zero-radius turns. Our patented park brake system is simple and convenient. The system is engineered to automatically set the parking brake simply by opening the steering levers. 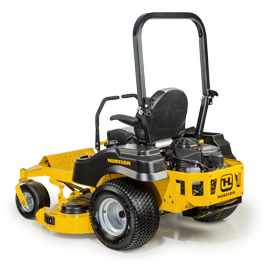 The Raptor® Flip-Up is the world’s first and only high performance zero-turn mower that uses QuickFlip™ technology for effortless cleaning and blade changing at the push of a button. It also includes an automated deck lift for simple blade height adjustment. The Flip-Up is the only mower of its kind. The Hustler MDV with patented LeveLift™ bed technology is a tough, precision-built side-by-side that combines the industry's most popular features with the revolutionary ability to lift, lower and dump its cargo.